Time to eat ! 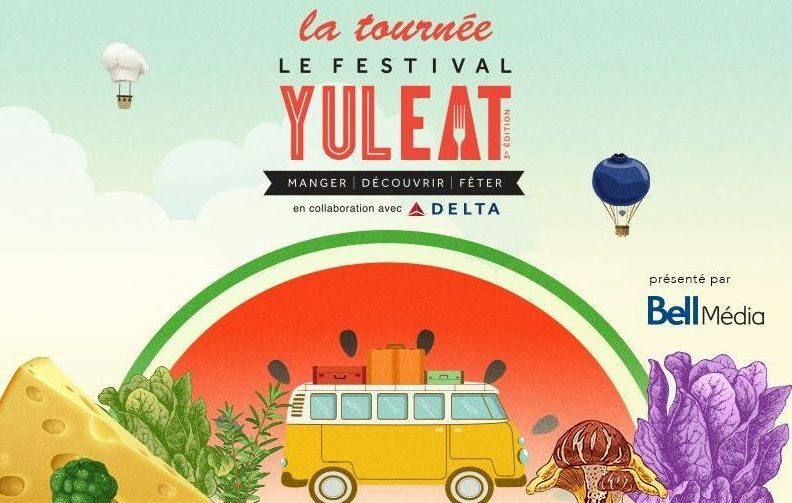 We all know that Montreal has become synonym to good food and #YULEAT2016 proves it. Dozens of outdoor food trucks, live demos from renowned chefs, wine & spirits tasting and so much more . This festival will appeal to anyone with taste buds (aka everyone). Nestled into the back of the Old Port ( i.e. the clock tower ) – you even have a nice view while you munch on your favourite dish. Ever since the city approved food trucks in Montreal- it has become a staple for outdoor festivals in Montreal and this event brings it all together. Poutine. Did somebody say gnocchi poutine ? The Italian version of our provincial dish had us curious at Pinokios. Deep fried potatoe gnocchi topped off with pulled pork, tangy sauce and the original cheese curds. Of course the classic poutine is available too. We tried the smoked meat version at Smokies which was an easy win! BBQ. My favourite food truck in Montreal is most likely Smoking BBQ. The name is not a metaphor. The smoke/smell (from the grill) gets you in the mood of their delicious ribs. Once you’ve tried them – you WILL go back to that truck! Fried chicken and pulled pork are also on the menu and are just as delicious. Barista. Art and coffee making at its finest. We checked out international caliber artists “draw” some portraits in cafe créma. It was awesome. I didn’t know you can drink a portrait of yourself but I guess you can. Next level morning #selfies. Deserts. We felt fancy enjoying the caramelised pecans and salted caramel of EUROPEA’s sundae. Mr. Puffs also had us excited with their deep fried dough covered in chocolate (think timbits with an edge). Today (Labor Day) is your last chance to enjoy it ! Go get it ! Passionate and focused on the arts and cultural scene, driven by innovative ideas - Anne is a curious individual, keen traveler, lover of the arts and spirited philanthropist. Martin Biallas brings the Sistine Chapel to MTL!